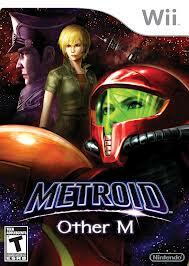 I have just this moment completed Metroid: Other M, I had picked it up dirt cheap last year (was under £4 new!) For some reason Metroid has always been a series I have found quite hard. I always liken it to Castlevania in space. 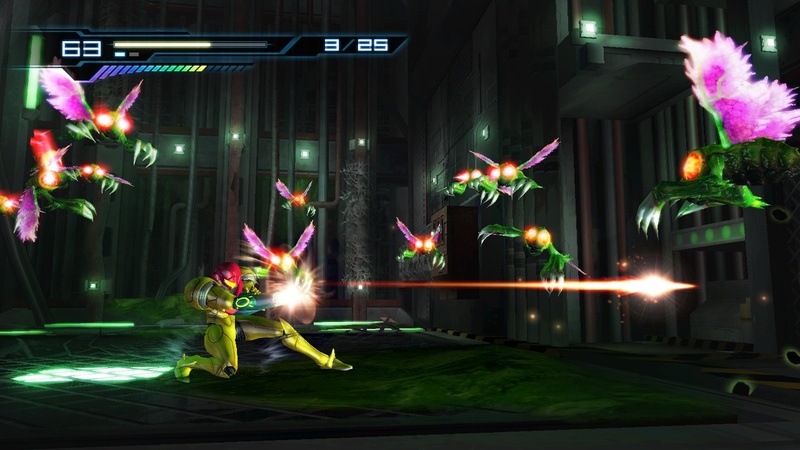 Metroid: Other M is a direct sequel to the Super Nintendo classic Super Metroid. Some months after the events of that game you are travelling when you receive a distress call coming from an empty section of space. Arriving you discover a gigantic space station in disarray that seems to be abandoned. Soon you stumble across a group of Galactic Soldiers, that include your former Commander Adam. He tells you to leave but not wanting to disappoint your idol you instead willingly disengage all your suit modifications and weapons hoping your desire to follow orders will allow you to stay. As you explore the desolate station you must discover what has happened to all the people, as well as discover why it is populated with aliens and monsters. The story is kinda terrible, but it is more the characters that really gave me a weird feeling playing this. In previous Metroid games there is some story reason why Samus must slowly recover her armour and weapons as she progresses. Metroid: Fusion on the GBA for instance had you attacked by an alien entity at the start that stole all your abilities. Here though it is the frankly bizarre Sub/Dom relationship Samus has with Adam that sees her purposely refusing to use weapons and abilities until Adam gives her permission to. Samus seems to enjoy getting hurt for the pleasure of Adam, seen most drastically in the lava fields section of the space ship where her energy is constantly getting sapped by the extreme heat. It is a very long time before Adam grants her permission to adjust her suit to allow for high temperatures. I can only imagine she must get off on the pain, knowing her Master has full control of her. 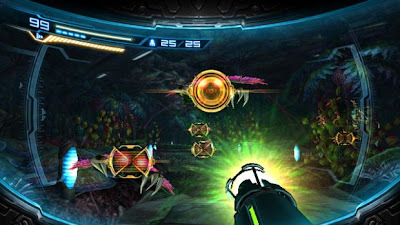 This game most reminded me of a 3D Metroid: Fusion. Both games took place on ruined space stations, both had you visiting different artificial themed areas (desert, ice, lava) and both actually feature similar bosses (the flying computer baby was just plain strange, especially it's cries as you hit it!). The biggest similarity though is the linear sense of progression you are given. The game may be huge but you are always herded from area to area in accordance to the story goals. You have some wriggle room but don't be surprised if you find areas locked off to your exploring self. I actually think I do prefer this exploration based hand holding. The reason I have yet to finish Metroid Prime is due to the fact it just straight up doesn't tell you where you should be heading! I hate motion control and waggle in my games, one of the reasons the Wii so frequently gathers dust. Thankfully here the game for the most part is controlled by holding the wii-mote sideways like a controller. The lack of an analogue stick is helped by the camera dynamically moving to give you the best fixed views possible. Many times it will almost be 2D as you traverse across the screen. Open areas are not a hassle either and give some welcome room. If you point the wii-mote at the screen it goes into 1st person view. Here you are stationary but have full 360 movement to aim your gun reticule around. Not bad though unfortunately this view is the only way you can use missiles leaving you vulnerable to attack while attempting to shoot at targets. The characters may be terrible (an incredibly sexist portrayal of Samus who is made here to seem like a weak, pathetic woman compared to the faceless identikit soldiers she teams up with) but the story did surprise me with its many twists that actually led me guessing as to what was going to happen next. The secret of what the project is that was happening on the space station, a mysterious rapidly mutating creature running riot, a traitorous figure referred to as 'The Deleter' who is killing off the soldiers one by one (and hilariously the game kinda forgets about this sub plot, I had to resort to message boards to work out who the traitor was). 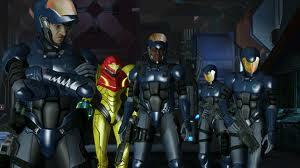 Under all the soppiness and long rambling monologues by Samus the plot was actually kinda cool. A pre game CGI recreation of the Super Metroid end of game boss fight was a nice treat. For the most part enemies are ones that have all appeared in past Metroid games; Space Pirates, various insects, Metroids (of course) and iconic bosses such as Ridley all appear and are welcome for it for the most part. The slow unlock of your abilities mean that re visiting areas to get new hidden items (mostly missile and health upgrades) is fun, especially as a handy mark is made on any room that has a hidden item. All the old abilities are gained such as the plasma gun, grapple beam, power bomb, super missiles, and spinning corkscrew jump. Always satisfying quickly taking out an enemy that took a long time at the games start. If it had just been bad characterisation then I could have stomached that but the game is let down by a very, very frustrating end of game boss that requires a un fun expectation of being able to quickly switch between first and third person viewpoints repeatedly whilst under constant barrage by energy leeching enemies. The boss then requires you with no hint to do a special move that you were only told once how to do around 10 hours previously in the games opening training section! Doesn't help the boss was totally underwhelming (didn't even realise it was the final boss until the ending kicked in) Would be forgivable but the game is usually quick to fling instructions at you that does actually bring me to another annoyance. When your energy gets too low you can stand still, hold the wii-mote vertically and press a button to recharge half your health. This process takes ages and is no good in a boss fight usually but that doesn't stop a literally 1/3 of the screen message and diagram appearing every time you have the option to do it. If your already nearly dead and struggling to survive then a huge screen obscuring message is not welcome! For all my moaning I did enjoy this game and got into the 'zone' where all I wanted to do was play Metroid: Other M. Once the game is completed there is a fun optional mission to do that sees you go to unexplored areas of the station and fight new enemies. 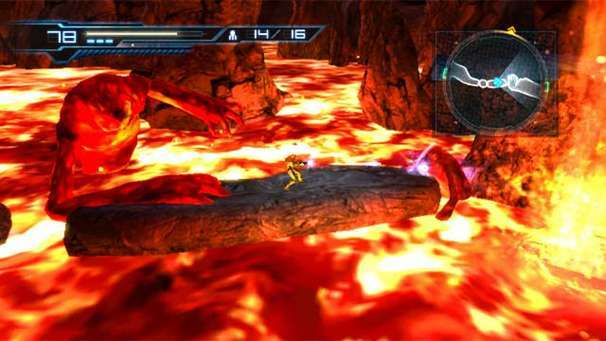 Not a bad game and not the best looking game, but it does mostly stay faithful to the Metroid series.